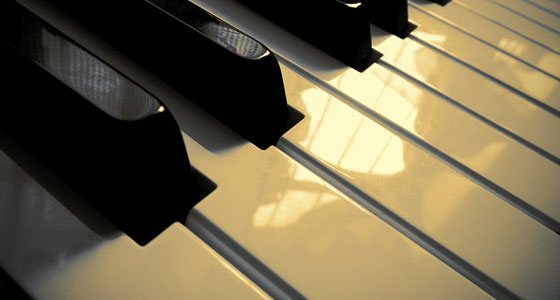 Piano royalty free music, romantic and intimate piano solo tracks in various styles, classical music, studies, concerto, sonatas, jazz, blues, improvisation, ragtime, exotic styles, Arab music, Chopin style and more..etc. Romantic and intimate piano song. Composed in February 2019, it consists in three different parts with different moods. Composed in November 2018 and recorded in December 2018. Sweet royalty free piano music consisting of 3 different themes in different tempos, blended together. Romantic and cinematic track. Piano song composed in 2018, it is a modern waltz with joyful ambiance and positive mood. This track can illustrate purity as well as nostalgic and romantic feelings. Royalty free piano music. In a moderate tempo, this track consists of two different themes A and B, which bring a gentle and positive ambiance. Soft and sweet musical piece. Contemplative and meditative music. This minimalist track is in slow tempo. The left hand is playing a basic repeated pattern while the right hand is playing a minimalist melody consisting of few notes. This track can add a purity and softness to your video sequence. Piano royalty free music with a happy and positive mood. This composition evokes sweetness, innocence and childhood. Composed in 2014, tribute to a wonderful dog named Miuzz..
Another minimalist and contemplative piano music track, in a very slow tempo. in French 'Virgule' is a punctuation mark (comma. Melancholic melody that gives a sad ambiance to this music, at first blurred, it becomes progressively clearer and more marked. Royalty free piano music in a gypsy style. It is influenced by flamenco rhythms, oriental melodies as well as Balkan atmospheres. The same track was arranged with guitars and percussions and can be found in the World section (Bonbon). A nostalgic waltz performed on piano solo. In a 3/4 time signature and a moderately slow tempo, this music gives smooth ambiance and some diversity in its harmony. A mix of nostalgia, love and purity. Piano solo. Original composition in the Chopin style. Gentle atmosphere, tenderness, love, peace, gentleness, Travel.. Happy and joyous atmosphere in this Royalty free piano background music. Can be used in a youtube video to express humorous situations or to add a gaiety to any film sequence. Royalty free piano composition. It contains two themes. The first is moderate and the second one is more energetic. Positive and gentle atmosphere, innocence, childhood, peace..
Royalty free piano music. Contemplative atmosphere, positive, nostalgic, romantic, innocence, purity, child.. Piano music. Dream, nostalgia, sweetness, peace, contemplation.. Piano solo composition. Gentle atmosphere, innocence, peace, serenity, love..
Royalty-free piano music, quite rhythmic and syncopated. Eastern, Arabic, horseriding, race, peaceful, childhood. Music for piano solo. begins with improvisation then a well paced theme. Arabic, Eastern, nostalgia, resignation, hope,..
Royalty free music. rhythmic music. Joy, happiness, peace, travel,..
Royalty-free piano music. Peace, gentleness, love, purity..
Solo piano piece, contemporary Music. Wandering, indecision, confusion, regret, search.. Piano improvisation. Contemplative atmosphere, positive, passion, travel, purity, love..
Royalty free piano solo music. tenderness, gentleness, love, peace, friendship, travel.. Piano improvisation. Dream, mystery, research, introspection, contemplation.. Piano music with sound effects. Dream, complaint, reflection, sadness, nostalgia, romantic,..
Waltz for piano. Gentle atmosphere, innocence, peace, serenity, love.. Piano royalty free music. Peace, gentleness and serenity; childhood, innocence,.. Piano solo improvisation. Positive, research, reflection, travel,..
Royalty free Piano improvisation. Eastern, peace, gentleness, love, purity.. Piano improvisation. Upbeat atmosphere, positive, passion, Travel, purity..
Royalty free improvisation. Sadness, sweetness, peace, regret, nostalgia.. Piano improvisation. Blues, jazz, Research, complaint.. Piano improvisation. Reflection, research, passion,..
solo piano Improvisation. syncopated beat. Strange atmosphere, mystery, torment, passion, wandering..
Royalty-free piano solo music. Peace, gentleness, serenity, childhood, innocence,..
Solo piano composition. Positive, research, reflection, travel,.. Piano music Eastern, Research, nostalgia.. Piano royalty-free-music solo. Blues, jazz, ragtime, childhood..